Here is my now famous traditional challah recipe. 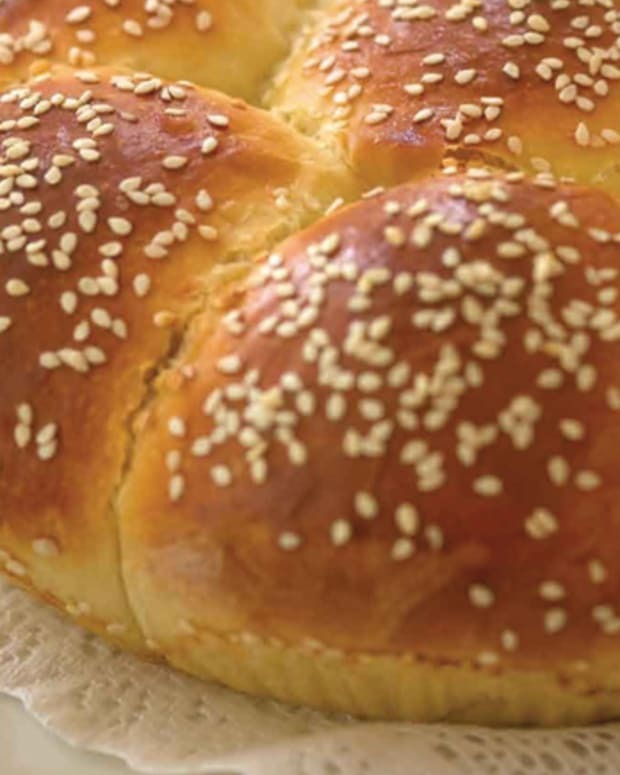 Challah is the Jewish egg bread served every week on Shabbat and is usually braided. You don&apos;t have to top it, but I love it with everything topping and I have a heavy hand. 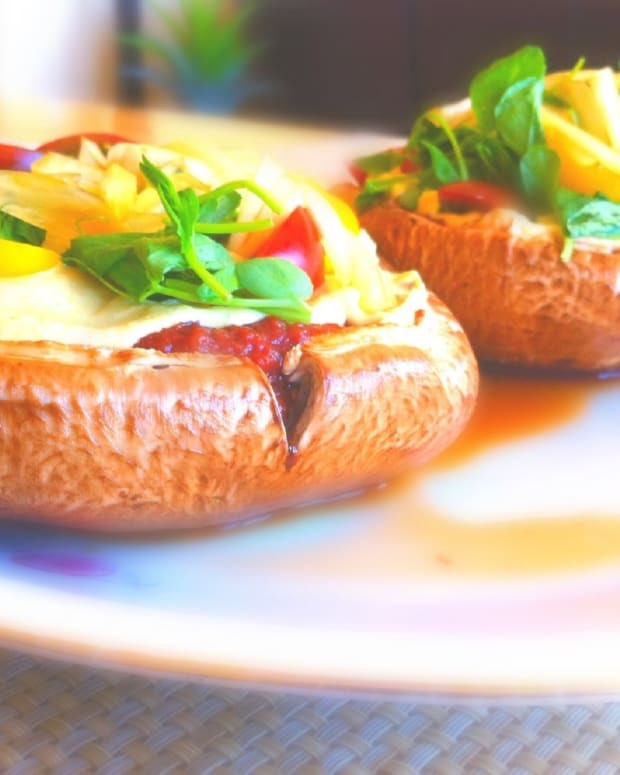 I make this recipe every week and I get so much satisfaction out of the kneading and braiding it is the one dish I don&apos;t mind spending time on. And don&apos;t forget to get the kids involved. Not only are they in my prayers, but they each get their own little mound of dough to shape and decorate as they like. I like everything, they like sprinkles, we are all happy. 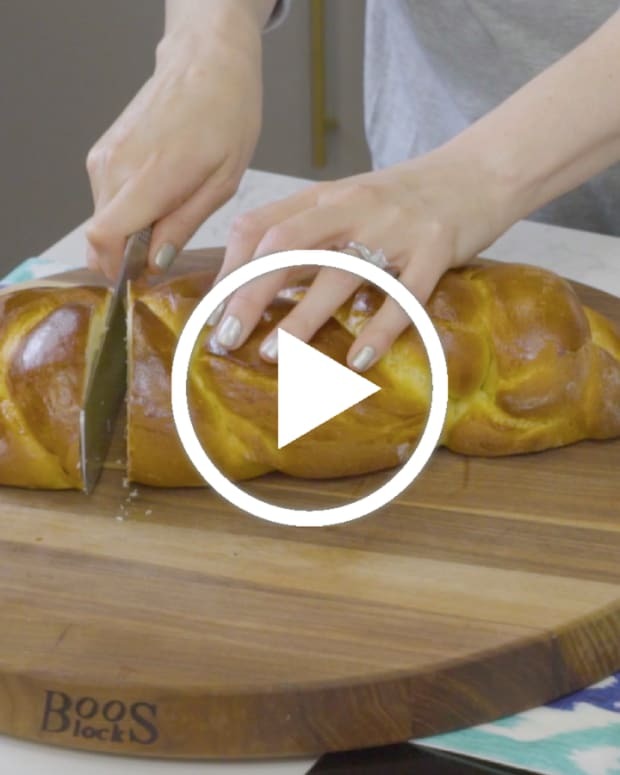 Enjoy this challah bread recipe this Shabbat and for many years to come. 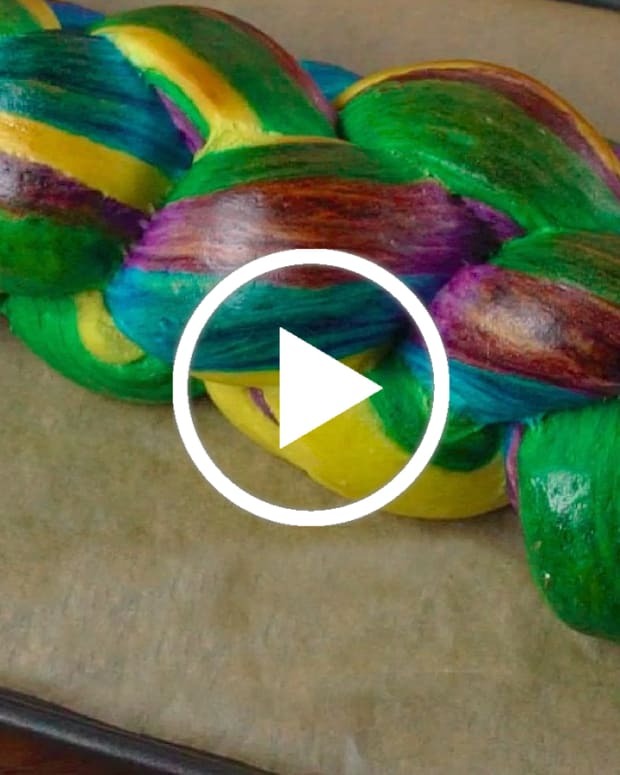 Watch me make this challah dough and show you how to shape it in my challah video series. If you want to try the easiest challah ever, check out my No Knead Challah recipe here. 1. In a medium bowl, dissolve yeast and 3 tablespoons of sugar in 2 cups of warm water, cover loosely with a towel and set aside. 2. Place salt in a huge plastic bowl. 3. Add flour to bowl. 4. Add sugar and egg yolks. 5. Yeast should now have bubbled/foamed and doubled in size, if yeast has not bubbled or does not seem active repeat the process again. 6. Make a well in the middle of the flour mixture and slowly pour yeast and sugar water mixture into the well. Then add the remaining 4 cups of warm water into the well. Make sure the water is not too hot. It should be no warmer than you would use for a baby’s bath. 7. 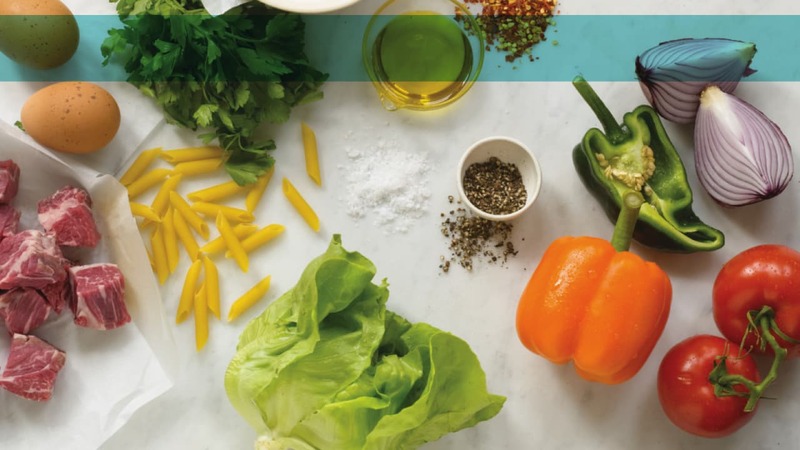 Start kneading ingredients together and add a ½ cup of oil. 8. For the next 10 minutes, knead, adding another ½ cup of oil slowly during that time as needed to create a workable dough. Dough shouldn’t be too sticky and also should not be dry. It should become one cohesive mass. 9. 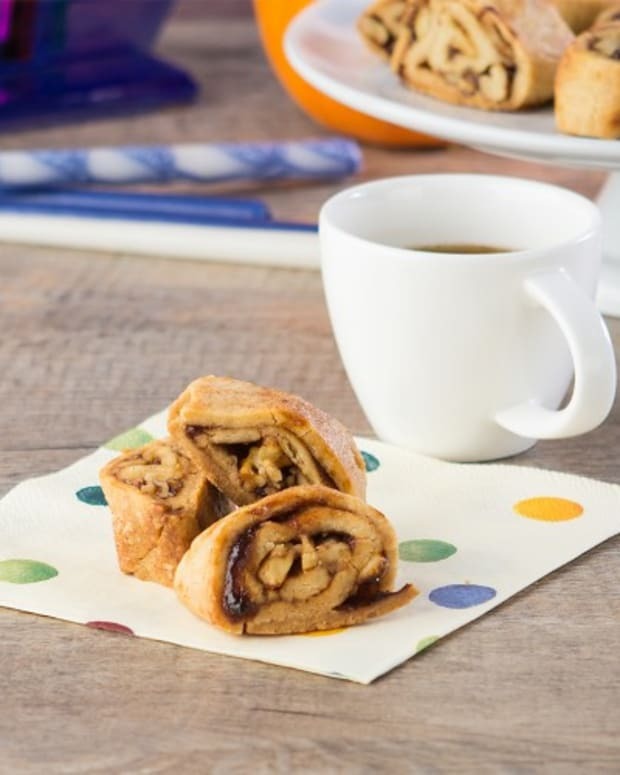 Loosely cover dough with a large kitchen towel and place in a warm spot in your kitchen for 15 minutes. 10. After 15 minutes, lightly oil your hand and knead again for another 5 minutes adding a touch more oil to the dough if necessary. The dough should now be easier to work with and will become smooth and satiny. 11. Rub a little oil over the top and around the dough. Cover bowl with a kitchen towel. Place covered bowl in a medium plastic garbage bag and place open ends of the bag loosely underneath the bowl, trapping in air. 12. Place in a warm spot and let rise for 1 hour or until doubled in size. 13. Punch dough down and knead (lightly oil your hands if necessary), flipping it and releasing any air bubbles. Cover again, using the towel and the bag, and let rise 1 more hour. 14. Lightly oil your hands, and punch down again. With a sharp knife divide dough into 4 equal parts. 15. Liberally spray 4 (9-inch) round baking pans with non-stick cooking spray and set aside. 17. With lightly oiled hands, place 1 piece of dough on a smooth work surface. Play with the dough a bit, squeezing out any air bubbles. Then roll the dough into a long, thick rope, adding oil as needed to keep it from being too sticky. Don’t use too much oil; a little sticky is fine. 18. Place one end of the rope up against the edge of the prepared pan and coil it, ending in the middle. Set aside. 19. With lightly oiled hands, place 1 piece of dough on a smooth work surface. Play with the dough a bit, squeezing out any air bubbles. Separate into 8 equal parts. Roll each part into a round ball, adding oil as needed to keep it from being too sticky. Don’t use too much oil; a little sticky is fine. 20. Place one ball in the middle of the prepared pan and surround with remaining balls. Don’t worry if they don’t touch. They will rise into each other while baking. Set aside. 21. Repeat either method with remaining dough so that you have 4 challahs. 22. 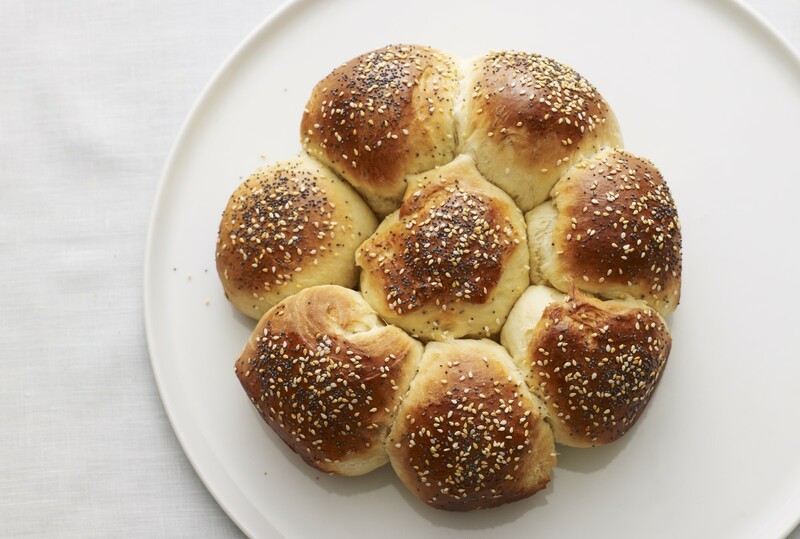 Brush challahs with beaten egg and sprinkle with a combination of poppy and sesame seeds. 23. Bake at 375°F for 10 minutes and then lower your oven temperature to 350 F and bake for an additional 35 to 45 minutes, until challah tops are dark golden brown. 24. Allow to cool slightly before serving. Serve while still warm. Once the challah has been sliced, you can store the slices in sealable plastic bags for about 4 to 5 days. 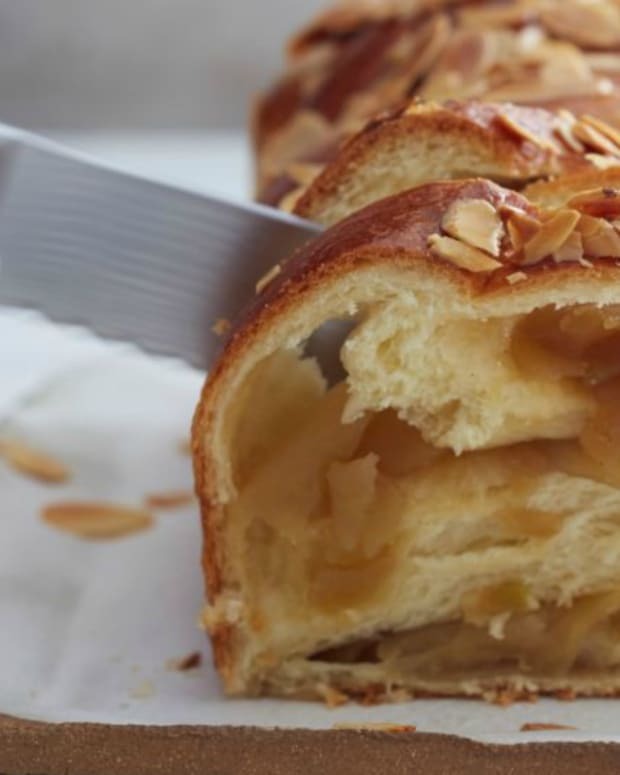 Get my free Challah eBook for even more recipes, how to halve this recipe and tips on challah baking.